Visões da Gândara: O Moinho Gandarez dos Morros foi restaurado! O Moinho Gandarez dos Morros foi restaurado! Em princípios de Março de 2010, andava eu a dar umas voltas de BTT pela zona Sul da Freguesia da Tocha, para reconhecer e fotografar umas lixeiras clandestinas no âmbito do Projecto Limpar Portugal; quando resolvi fazer um desvio temporário da rota, em busca de algo mais positivo para fotografar. Acabei por dar com algo que excedeu as minhas expectativas mais optimistas. 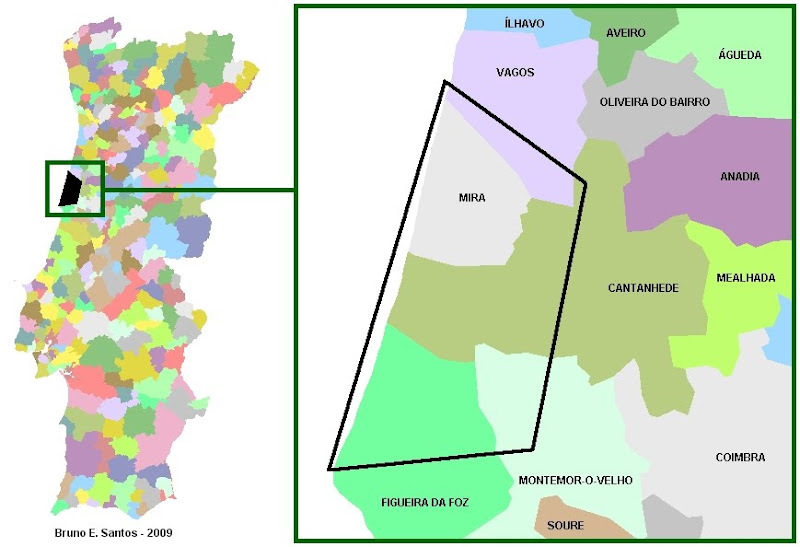 O Moinho Gandarez existente nos Morros (localidade situada na Freguesia do Bom Sucesso, Concelho da Figueira da Foz), conhecido localmente por "Moinho do Licínio", foi totalmente restaurado com o apoio da Junta de Freguesia do Bom Sucesso, estando na actualidade perfeitamente funcional! Aproveito ainda este espaço para agradecer a gentileza e amabilidade do proprietário do moinho (penso eu), o qual se disponibilizou para me abrir a porta do moinho para eu visitar e tirar umas fotografias internas; apesar de eu apenas lhe ter perguntado se o moinho estava funcional. >>> Uma grande pedra (por exemplo uma antiga mó), no centro da estrutura circular, a qual serve de base para o eixo de rotação do moinho, igualmente em pedra. Deixo aqui várias fotografias, tiradas em Março de 2010, Novembro de 2009 e Junho de 2007; para que os leitores possam verificar o modo de funcionamento do moinho e a sua evolução recente. The "Moinho Gandarez" (type of windmill typical of the sub-region of Gândara) of Morros (village located in the civil parish of Bom Sucesso, in the municipality of Figueira da Foz), has been fully restored. In March of 2010, during one of my bycicle rides, i had a pleasant surprise, when i verified that one of the few remaining windmills of the zone (known as the "Moinho do Licínio"), has been restored! And i took lots of photographs, with joy! I started to talk with an old man, who was working nearby, asking him if the windmill was fully functional. The man was the ancient miller (i think), and i take this opportunity to thank him for his kindness, because he quickly offered himself to open the door of the windmill, for i visit it, even if i didn't ask him that. Thanks! He also told me that the windmill has been restaured with the financial support of the "Junta de Freguesia" (civil parish council) of Bom Sucesso. There were many of these windmills in the past, but today only a few remains, mostly of them in ruins. So, i'm very glad with the restoration work of this. I let here plenty of photographs of this windmill, taken after and before the restoration work; during March of 2010, November of 2009 and June of 2007.